Rhea Shannon is the kind of girl who is passionate about telling stories, and is quick with a smile. Her resilient personality has gotten her through a lot. But what really grips you is her story. Last month, Shannon shared the story of her father, who died while on active duty in Afghanistan during her senior year of college. The loss of her father broke Shannon's heart in more ways than one. 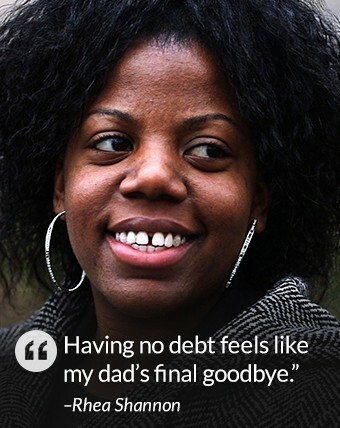 She was left with $54,000 in student loans. We weren't the only ones moved by her tragic story. Barely two hours after the story was published on CNNMoney, Shannon got a phone call from Ashlynne Haycock at Tragedy Assistance Program for Survivors, also known as TAPS. Haycock called to offer Shannon the impossible: To wipe the entire debt. "I was at my desk on the phone and tears were coming down...I was like, 'Is this really happening?'" said Shannon, went to Howard University in Washington, D.C. and now works as a production assistant at television channel BET. Luckily, when the call came, Shannon picked up the phone, because she had been dodging phone calls from numbers she didn't recognize in a bid to avoid her creditors. It was an overwhelming moment for Shannon, whose father had co-signed the debt and had been her biggest champion. In fact, Shannon's going to college was such a big deal to him that he had re-enlisted in the Army to help pay for it. TAPS is a nonprofit group that helps people who have lost loved ones in the military. Haycock focuses specifically on education. Haycock too lost both of her parents, who were in the military. She felt an immediate connection to Shannon's story. Usually, Haycock helps students by working with the Department of Veterans Affairs and private organizations. But when she heard that Shannon's loans were through JPMorgan Chase (JPM), a TAPS partner, Haycock reached out to the bank immediately. "We sent them an email with a link to the story and they called us back within less than two hours," Haycock said. The debt was forgiven through JPMorgan Chase's Military Survivor Program, which is always on the lookout for cases like Shannon's. Since the program started in 2013, JPMorgan (JPM) has forgiven $4.3 million in student loans, car loans, mortgages, and credit card debt held by fallen service members. Rhea Shannon with her dad. Shannon can now move forward with her life debt-free. 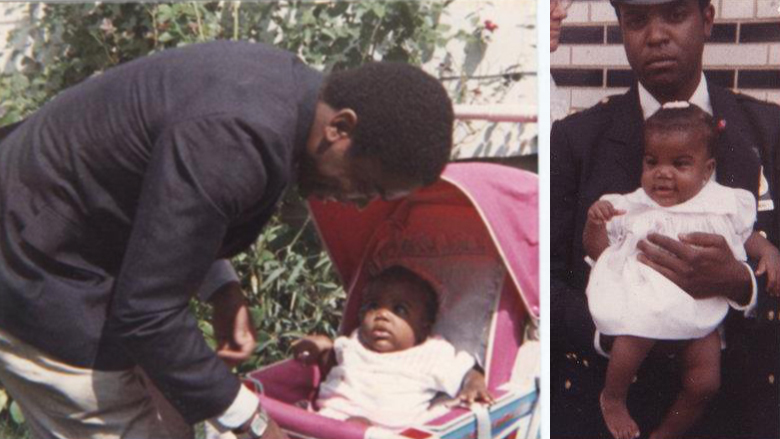 She is thankful that she got the college degree that mattered so much to her father. "He had three kids about to go to college in four years or so," Shannon said. "He knew what had to be done to make that happen because college is so expensive." 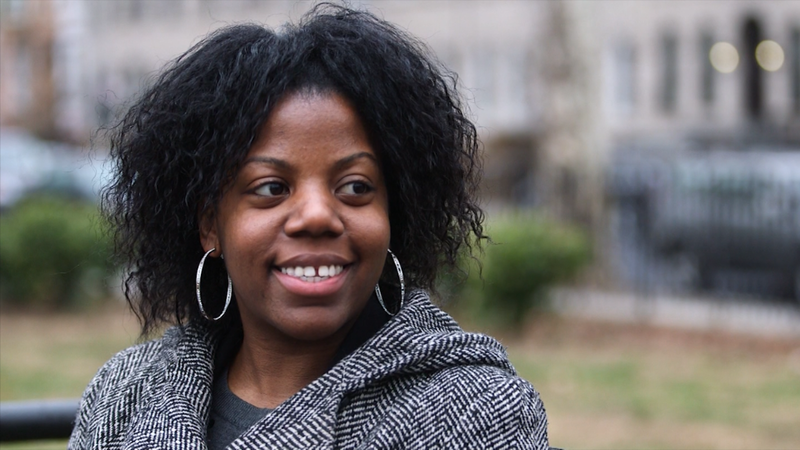 Through TAPS, Shannon also learned about scholarships that will cover her master's degree if she chooses to go back to school. What's next for Shannon? She's still in shock that the dark cloud of debt is gone, but says she's going to work on fixing her credit and saving for a house like her father taught her. Shannon says all she can think of now is to say: "Thank you God and thank you Dad."